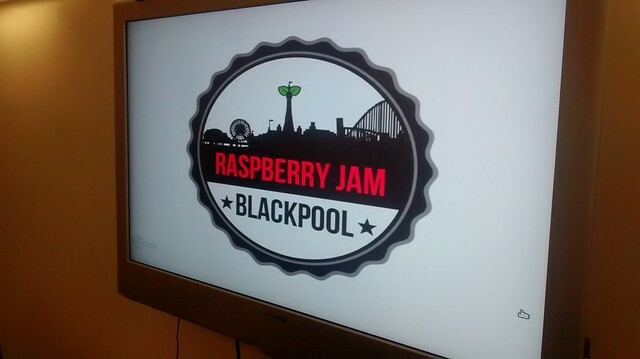 Today we held our first jam and it went extremely well with people travelling from far and wide to take part. Pete Lomas very kindly came along with his son Arthur and gave a talk on the history of the Raspberry Pi and the role it played in our education and communities. We linked live to our sister Jam in Berlin hosted by James Mitchell. 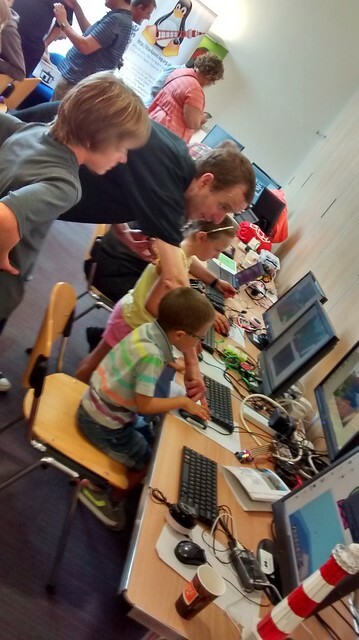 Berlin Jam has been going for two months and has generated quite a buzz in the community. Simon Walters brought along his collection of robots and demonstrated how each of them worked. Tim Gibbon brought along three Minecraft experiments. 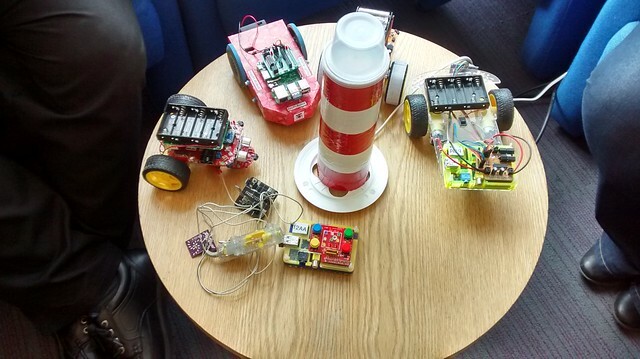 Lighthouses that reacted to the players location, a PS3 controller for Minecraft and a Pibrella add on board for the Pi that interacts with Minecraft. 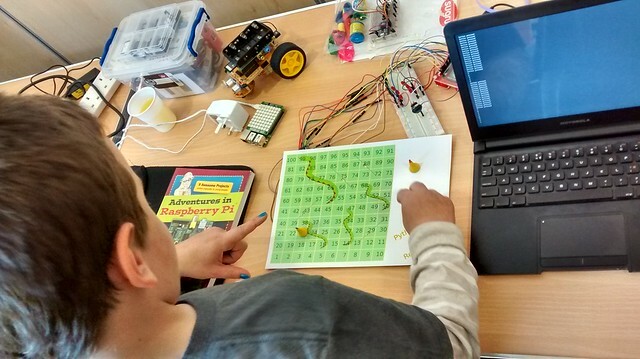 Les brought along his version of Snakes and ladders powered by the Raspberry Pi B+. It was a great day, full of fun and games for the eager children and it was great to see them playing and testing the games on offer. Our next Jam will be in October and a date will be announced in the next week. Thanks to all that came. What can you expect at our Jam?